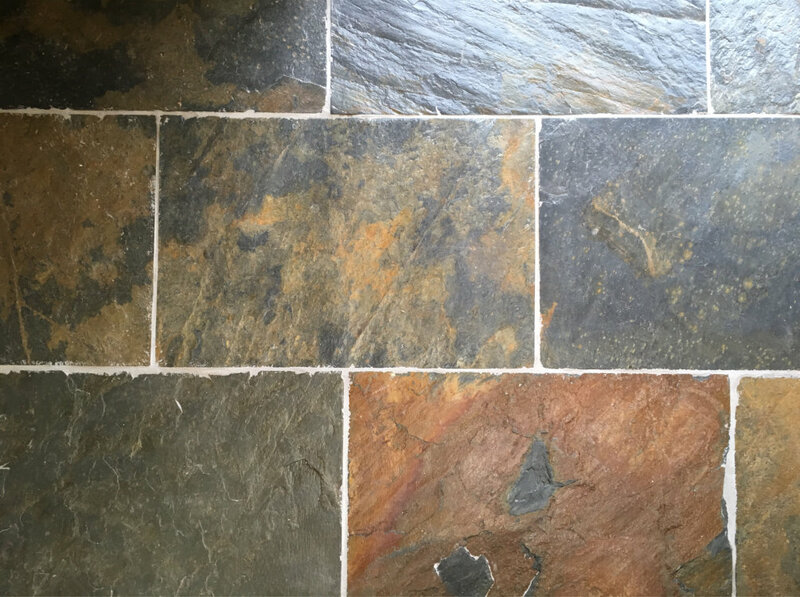 Slate is a fine-grained metamorphic rock produced around 375 million years ago from clay under compression. When it was formed the clay flakes formed ‘layers’ perpendicular to the pressure. When expertly cut by striking parallel to the layers with specialised tools in the quarry we get the form smooth flat sheets of stone that have become so familiar in roofing and flooring for centuries. Slate is often thought of as being just grey in colour, especially when seen in roof tiles, but it naturally occurs in a variety of beautiful colours even from a single place: for example, slate from North Wales can be found not just in a variety of shades of grey (from very pale to very dark), but it may also be purple, green or cyan. The colouring in slate usually comes from iron oxides during metamorphism. Some of the slates by virtue of having a higher silicate make up are harder and therefore useful for external applications. 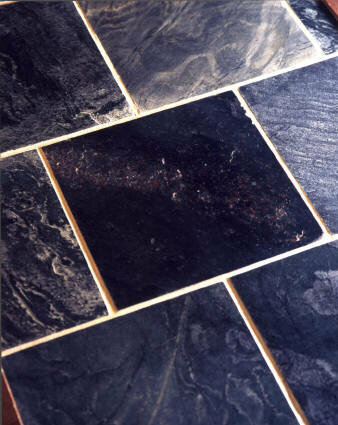 Ask us about the most suitable slate for your project. Farmhouse Rustic – greeny grey background with dark grey and golden patches, smooth riven surface. Suitable for exterior use. Grey – mid to dark grey can include golden patches, smooth but riven surface. Suitable for exterior use. 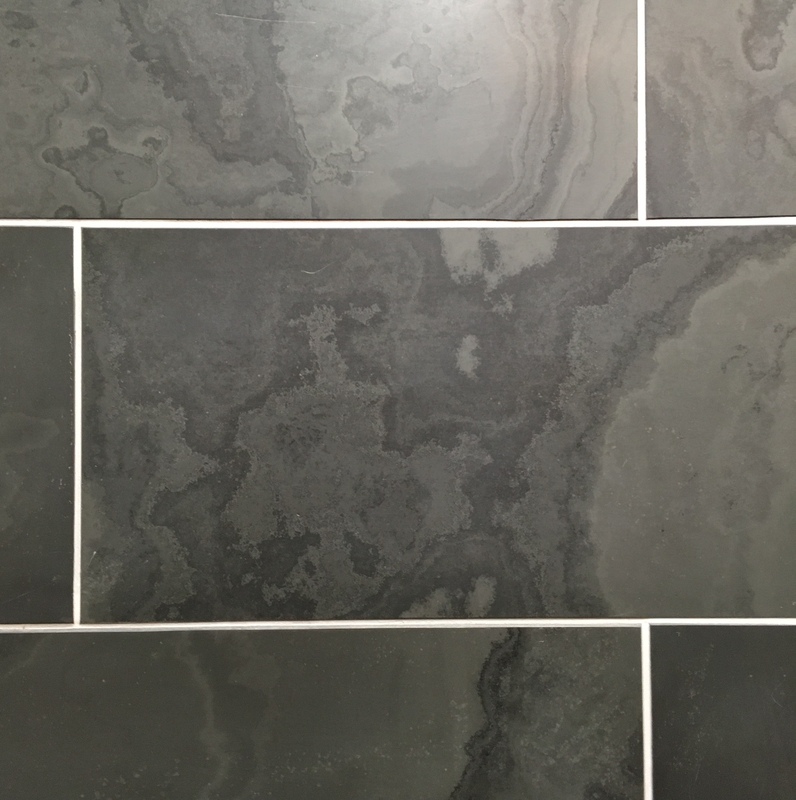 Atomic Grey – light grey, dark grey and black in colour, textured appearance but smooth finish. Black – true black with a smooth finish.